DUI is one of the primary areas that Chris Ariano practices in and is passionate about. The interest started at an early age and has been growing stronger ever since. Chris grew up in the Elgin suburb of Chicago in the family of people committed to practicing legal professions. Several family members had successful careers in the fields of family law and intellectual property at the time. Needless to say, such a strong family tradition inspired Chris to also seek professional development in the field. To make the first step towards realizing the dream, Chris obtained an undergraduate degree in information technology and human resource management from the University of Colorado at Boulder. Next, he went on to get his J.D. from University of Detroit Mercy School of Law. By getting his degrees, Chris set the foundations of a long-lasting legal career that has been going strong for many years already. Today, Chris practices with Phoenix clients in Arizona. Before setting up a practice there, however, Chris acquired diversified knowledge and practical experience through internships, externships, and academic programs. From May 2006 to May 2008, Chris accepted an externship with the honorable judge Mark A. Randon – a federal magistrate judge for the Eastern District of Michigan. As a judicial clerk, Chris was responsible for observing the legal process, acquainting himself with felony and misdemeanor trials. Upon the completion of his studies and externships, Chris made the decision to relocate to Arizona. Upon passing the Arizona state bar exam successfully, Chris was free to begin practicing and specializing in the area of bankruptcy law. These first days of his Arizona career were focused predominantly on work with clients in need of assistance for Chapter 7 and Chapter 13 document consultancy and preparation. While bankruptcy law offered solid opportunities, Chris decided that a diversification of his professional portfolio was something worth pursuing. Chris eventually started taking on criminal defense cases – an area of specialization that he continues practicing in even today. His next initiative was to set up Ariano & Repucci in May 2009. The law firm brought together Chris Ariano and Ryan Repucci who committed themselves to setting up a small practice capable of offering clients a personalized approach. The primary area of focus was once again bankruptcy law. Through the years, Ariano & Repucci grew to eventually open offices in a number of additional locations. These professional endeavors have given Chris intricate understanding of filing for bankruptcy successfully and of navigating Arizona criminal law at the same time. Some of the primary areas that Chris specializes in today include criminal misdemeanors, DUI, chapter 13 bankruptcy, chapter 7 bankruptcy and debt settlement. Chris is a member of the Arizona State Bar and US District Court for the District of Arizona. If you do a bit of online research about Chris Ariano, you’ll quickly come across testimonials written by his numerous customers. Most of the people who have chosen Chris as their legal representative report that his work ethic and empathy are unparalleled. One thing that most have found particularly impressive is the personalized approach adopted every single time a client is in need of legal assistance. 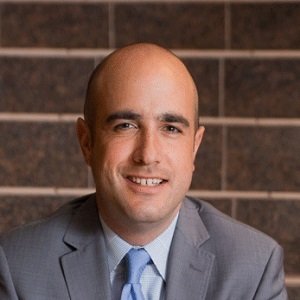 Apart from being thoroughly dedicated to expanding his knowledge in the legal field, Chris Ariano has an array of additional interests. He’s an avid golf player and his love for the sport is another one that commenced at an early age. While in school, Chris was the leader of the men’s golf team, and his passion for the sport has remained strong through the years.